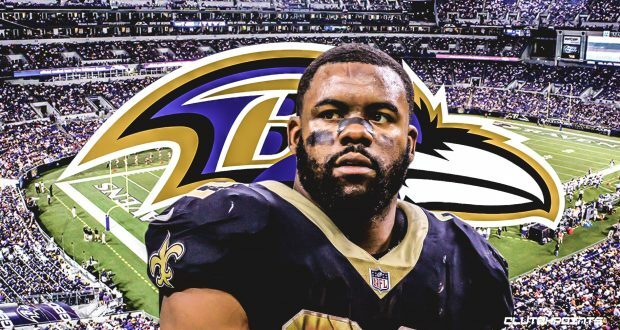 One of the biggest winners of the 2019 NFL Free Agent class from a fantasy perspective was undoubtedly Mark Ingram. The Former Heisman Trophy Winner and New Orleans Saint landed a 3 year 15 million dollar contract to migrate north to the Charm City. 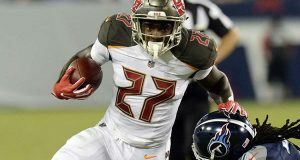 Following a slow start to his NFL career Ingram has blossomed over the last several years into one of the more underrated all-around RBs in the game. 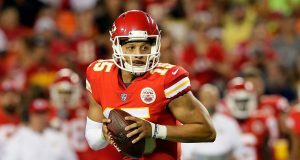 His departure from New Orleans will shift the landscape of dynasty football across two of the more unique offenses in the league. Let us take a look at just how this signing affects the dynasty community. Saints: For the sake of brevity I will address the move from the New Orleans perspective in a single section. As I stated in the opening Mark Ingram has become one of the more unsung 3 down capable RBs in the NFL. His career 4.5 ypc average shows the type of quality back the former University of Alabama standout has become. You can see from his stats below that Ingram was also highly effective as a receiver over the later portion of his time with the Saints. However, for as talented as Ingram has been, the Saints were forced to make a tough business decision in allowing him to get away. The decision was made easier from the Saints perspective by the presence of their young phenome Alvin Kamara. He and Ingram have ripped up the NFL as a dynamic duo over the past two seasons. For as talented a receiver as Ingram is Kamara had already supplanted him as the primary pass-catching back out of the Saints backfield. The Saints will no doubt miss Ingram’s leadership skills and solid play. The biggest ramification from a fantasy and dynasty will be the further ascendency of Alvin Kamara. Sure the Saints have signed former Raiders and Vikings back Latavius Murray to handle some of the carries left behind by Ingram but I would expect him to be far less involved than the former 1st round pick. QB: Last season Lamar Jackson orchestrated one of the most run heavy units in the entire NFL. From the point he was inserted into the lineup in place of an injured Joe Flacco the entire Ravens system flipped on its access. While I fully expect the Ravens staff to expand Jackson’s use in the passing game I would also anticipate the Ravens leading the NFL in rushing attempts. As a quality all around RB Mark Ingram should help Jackson both as a runner and as an outlet passing option. One additional area where Ingram will prove beneficial to the young Ravens signal caller will be as a pass blocker. Ingram has shown throughout his career to be extremely willing and capable in this area. RB: Mark Ingram signing will put a huge damper on the Gus Edwards love that went around the dynasty community following his semi-breakout last year. Edwards will certainly play a role in the offense moving forward but I find it extremely difficult to imagine that Ingram will not be given a legitimate shot at fielding the bulk of the touches for the foreseeable future. Why else would Baltimore invest so heavily in a soon to be 30 year old RB if not to use him? Kenneth Dixon will likely be subjugated to an ancillary role as a player who could nominally fill in for either Ingram or Edwards in a pinch. I would anticipate Mark Ingram’s fantasy numbers making a marked improvement with the heavy usage he is likely to garner. He will all but certainly exceed his previous career high of 230 carries. Ingram represents an excellent buy for teams in win now mode, especially in leagues that provide points per carry. WR: The Baltimore receiving room is an enigma at this point. Following last season the Ravens released Michael Crabtree and allowed John Brown to leave via free agency. Of all the remaining targets on the team Willie Snead is likely to garner the most fantasy value. He will likely once again fill the slot role and be the recipient of multiple Lamar Jackson check downs each week. I fully expect new Ravens GM Eric DeCosta to address this position in the draft. I would not be surprising to see Baltimore select a receiver to pair and grow with Jackson in the 1st round. Ingram will help the Baltimore receivers by providing the best pass catching option out of the Ravens backfield as well as helping to provide Lamar Jackson additional time in the pocket with his pass blocking. TE: The TE position is the strength of the Baltimore passing game at this point in time. The Ravens field at least 3 capable players at the position including Hayden Hurst, Mark Andrews, and Nick Boyle. Hurst and Andrews were last year’s 1st and 3rd round picks respectively and showed varying degrees of success in their first year. Of the two it was the 3rd round pick Andrew’s who flashed the most to the tune of 34/552/3. Hurst suffered an early season foot injury that required surgery but showed some flashes of what made him a 1st round pick later in the season. Boyle is described as the top blocking TE in the league but can also make some plays in a pinch. The addition of Mark Ingram will likely help the TE position far more than the WR position in Baltimore. The current construction of the Ravens roster likely means that the team will be an inside out passing attack that focuses between the hashes from the TE and RB out to the WRs. Occupying the same space means that safeties and linebackers will be forced to keep an eye on the RB and not be able to zero in on the multiple TEs the Ravens will deploy in various formations. Conclusion: The Baltimore Ravens are a franchise that is currently in the middle of an identity shift. Under former franchise QB Joe Flacco the Ravens were a far more pass-oriented team. 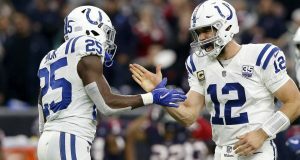 The team is also in the process of retooling their receiver corps and will be forced to lean heavily on the run game to protect their young franchise QB. Lamar Jackson is one of the most dangerous rushing QBs in the NFL and will be an asset to whoever receives the bulk of the carries in Baltimore. I believe that Mark Ingram is by leaps and bounds the most talented RB on the team and will enjoy a career renaissance in the Charm City. I fully expect Ingram to put up career numbers over the next couple of seasons in his new home.